This is my take on the iconic 60's makeup. 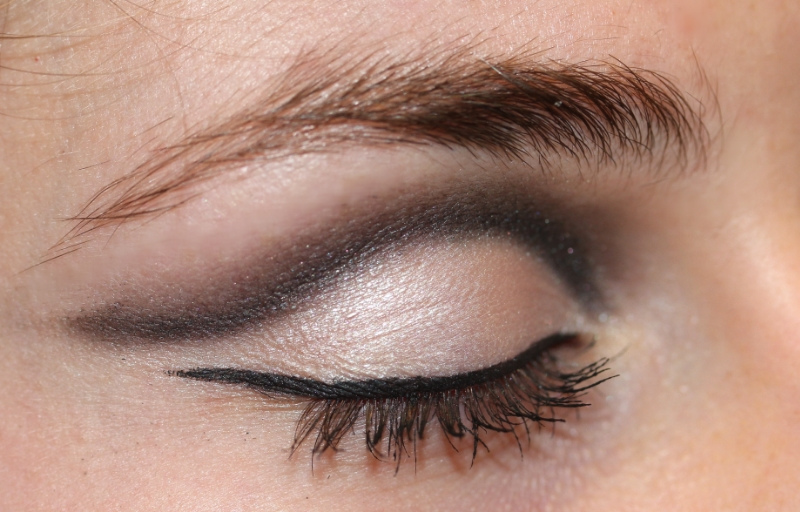 I love this style of makeup - it's very fun and easy to do! 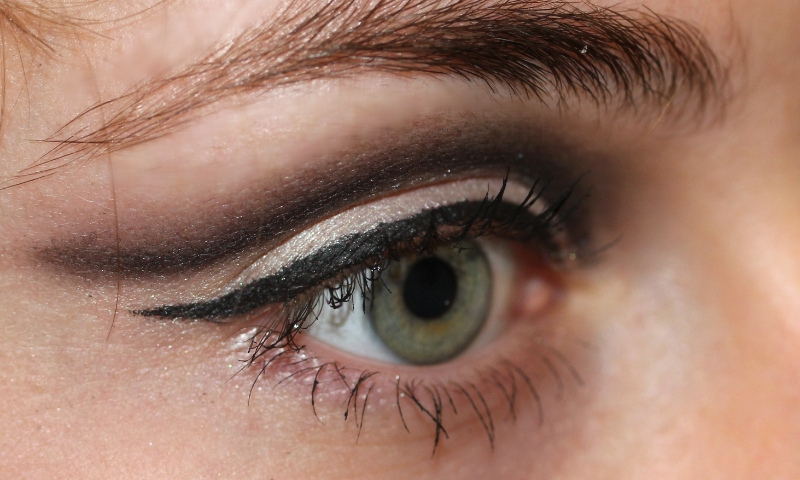 Typically matte shadows are used but this makeup was for a party so sparkle and shine is always necessary. Plus, that's part of my adaptation. There are only five products used in total (six if you count primer). If you have the Naked palette from Urban Decay you're good to go but if you don't you can easily substitute any shimmery white and matte or sparkly black. First apply your primer then place a shimmery white all over the lid. Next, I like to apply a cream pencil that doesn't set to the crease (I don't suggest using Urban Decay's 24/7 Eye Pencil here unless you work really fast) to map out the shape as well as intensify the black. Then I smoke it out with a black shadow, in this case UD's Creep. Apply gel eyeliner and extend it out more or less straight from the lash line, so no cat-eye flick here. Coat lashes with mascara and you're done!